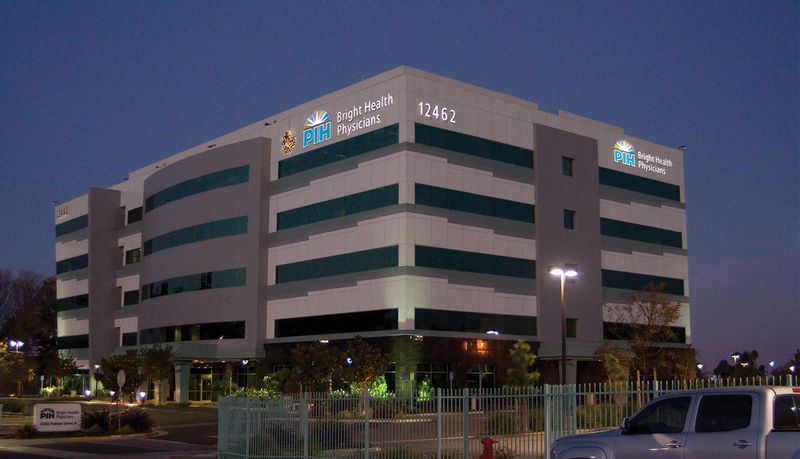 For almost half a century, Presbyterian Intercommunity Hospital (PIH) has served the Whittier, CA, community by providing excellent health care. 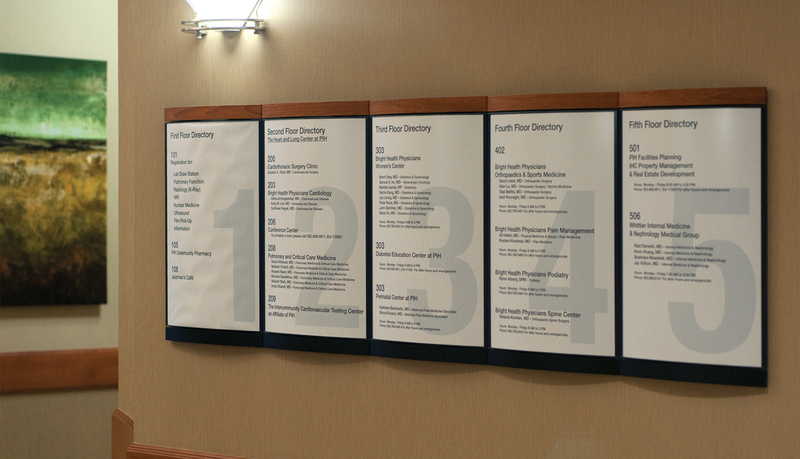 And for over a decade, PIH has been in almost a constant state of expansion. 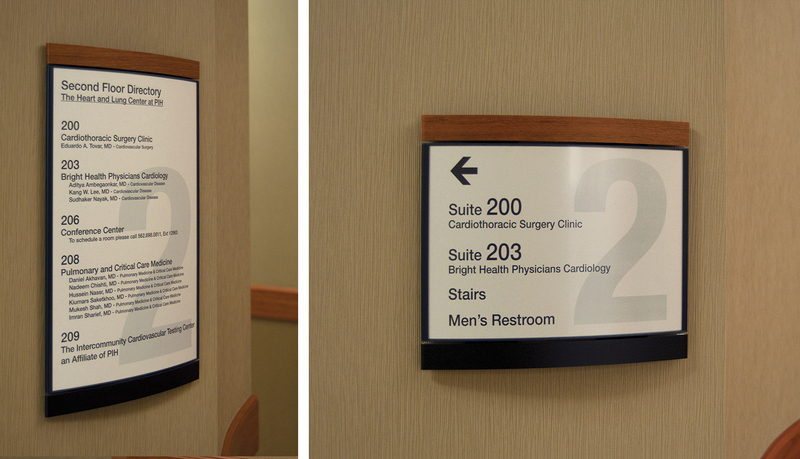 ASI has been a key partner for PIH throughout the expansion as their design-build partner for both interior and exterior signage since 1994. 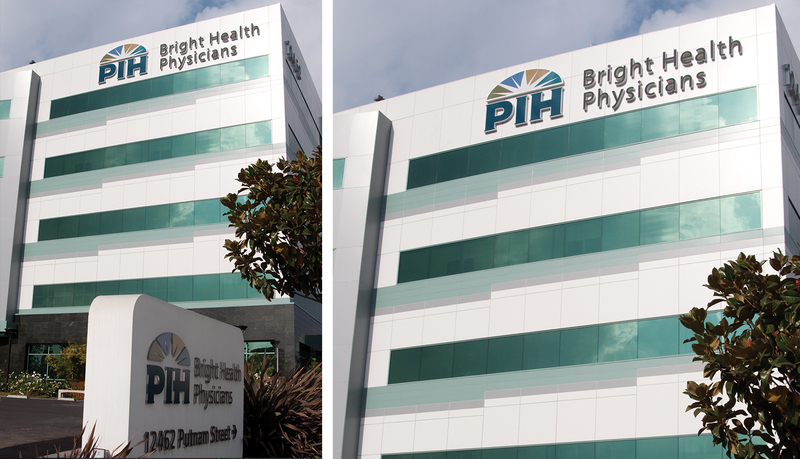 PIH recently merged with a local physician group to form the Bright Health Physicians. 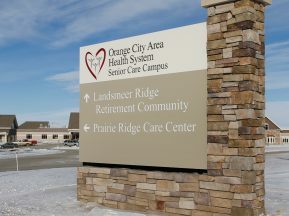 As part of the merger, PIH constructed a new 106,500 sq. ft., five-story medical office building known as the Ernest D. Wells Medical Office Building. 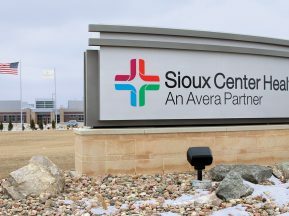 This new building provides modern, state-of-the-art facilities featuring an imaging center, laboratory, pharmacy, a variety of hospital services, plus a café with seating and snacks. 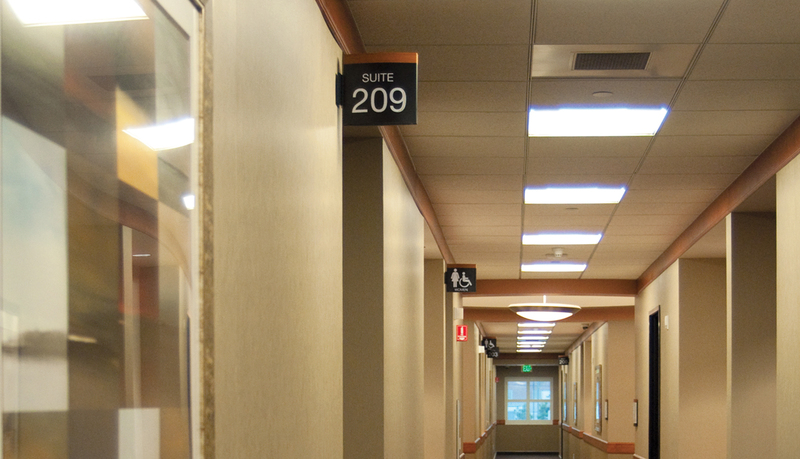 PIH turned to ASI to design and plan the re-branding and signage strategy for the new medical office building and to retrofit the other existing facilities. ASI designed, fabricated and installed all the interior and exterior signage for the new building, including additional campus site signage that complements the architectural design of the new facility. The complete solution effectively guides visitors while promoting the PIH brand identity. 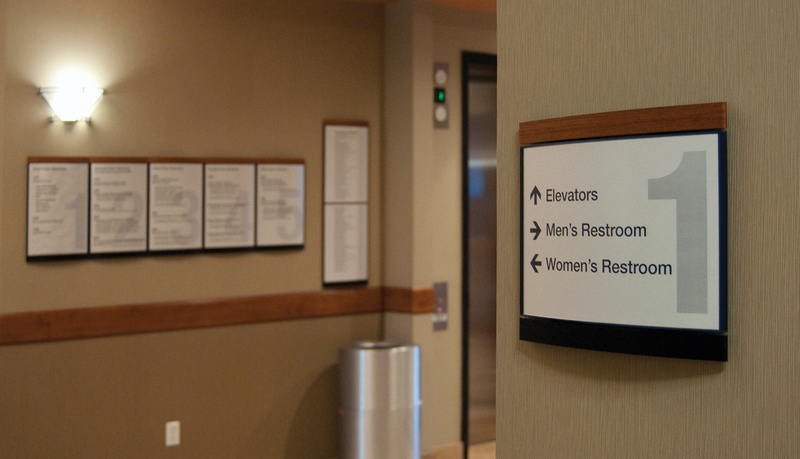 Pacific Interior™, ASI’s modular curve-faced signage system, was used in prominent areas of the facility, while InTouch™ was also used to complete the needs of the interior signage program. 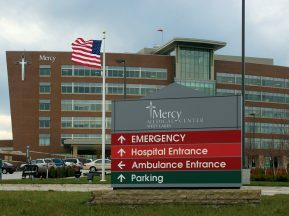 The exterior solution included custom-built, illuminated monument signs and channel letters for site identification and directional information for the new building and other areas of the campus. 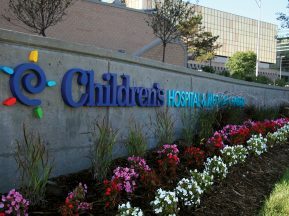 To ensure brand was foremost, ASI maximized the size of the logo and illuminated it so that the PIH brand colors would be visible both day and night. Applying for city permits and approvals was a simple process because ASI had already designed the hospital’s master plan the previous year. We know we can count on ASI for our campus-wide signage needs. 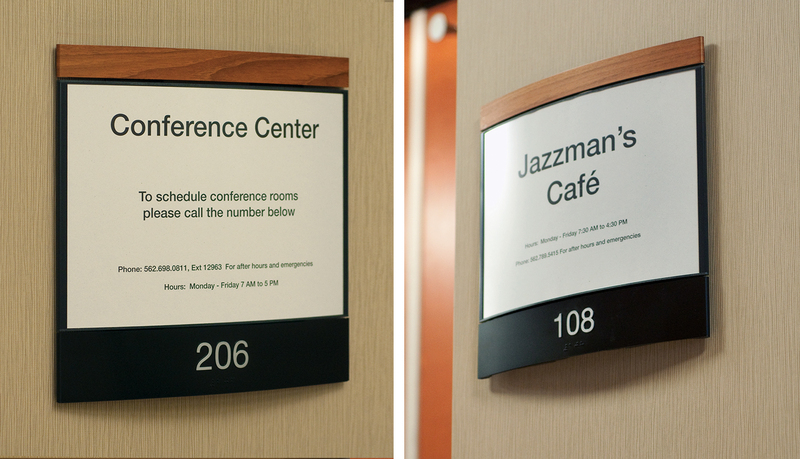 ASI has served us over 16 years with planning, design, fabrication, installation and service of both interior and exterior signage. ASI recently proved their willingness to ‘go the extra mile’ by erecting 100-foot-high Christmas lights atop one of our 5-story buildings.